Narrandera in southern New South Wales was home to the RAAF’s No,8 EFTS during the Second World War and, in common with many former military airfileds it still has a number of original air force structures on site. The most imposing of these is the airfield’s remaining Bellman hangar which still bears its original identification number (viz. ’68’). 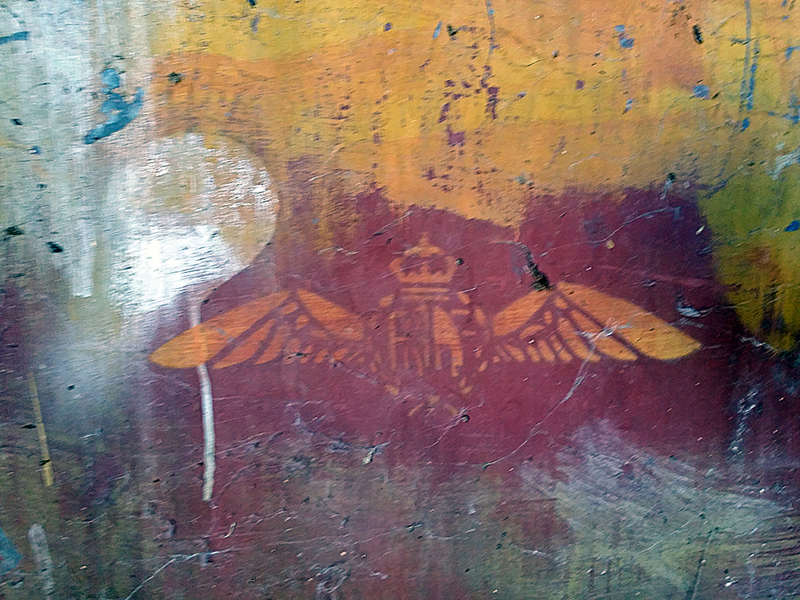 What really caught my attention however was this original RAAF insignia stencilled on the inside of the hangar’s side door. In fact the entire door panel had been painted – in similar hues – in a manner suggesting that it could have been used then as a test panel for surface finishers. The colours too are barely faded, as might be expected given the panel’s deeply recessed internal location.